I have never read a graphic novel. For some reason I just didn’t get the appeal which is weird because I love Disney moves and animation so why wouldn’t I like stories with super sweet illustration? No idea, it didn’t make sense. 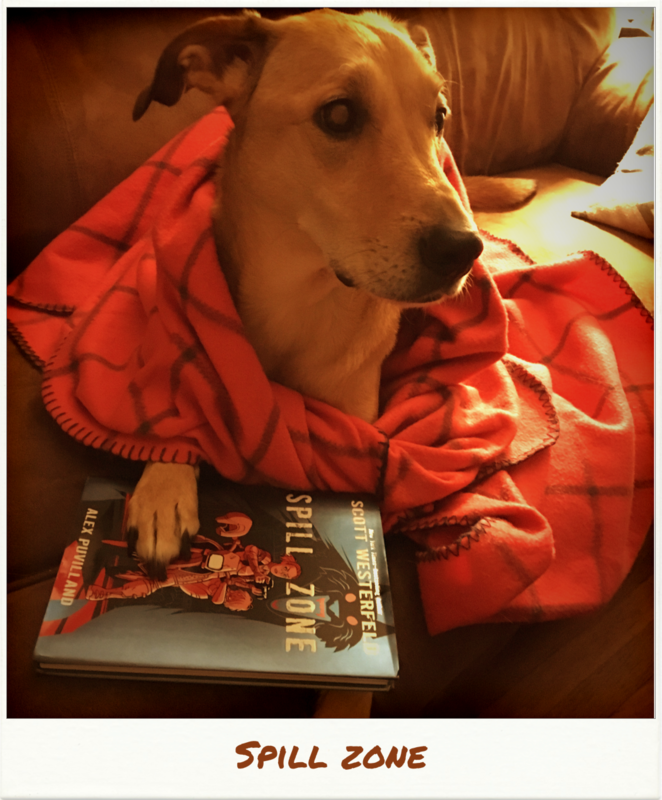 But then I heard about Spill Zone on All The Books and it peaked my interest. Maybe I should give graphic novels a try. Spill Zone takes place in upstate New York where an incident has ruined a small town. The town Addison is from is no longer inhabitable by humans. Now there are only unexplainable creatures and shadows of what were once people she knew. Addison would steer clear of her hometown but is dependent on the photos she takes to support her and her sister. Strapped only with her camera, sister’s doll for good luck and her dirt bike, she rides in the night and although she only brings those items, she ends up leaving the Spill Zone with something else. Spill Zone is 212 pages long and took me two days to read. I did read it twice though because the artwork is awesome. I really loved reading this graphic novel and give it at 4 out of 5! I realize I don’t have anything to compare this experience to but reading this story made me want to pick up more graphic novels and I think there is something special about that. I can’t wait to read part two! Thank you so much to First Second for sending me a copy, I loved it so much!